I was invited by Element Healing to participate in the Three Day Quote Challenge. With this challenge, you post one quote a day for three days and also invite three people to participate each day. Once you have a vortex of emotions of the populace and you have martyrs, you have a functional premise for a revolution. 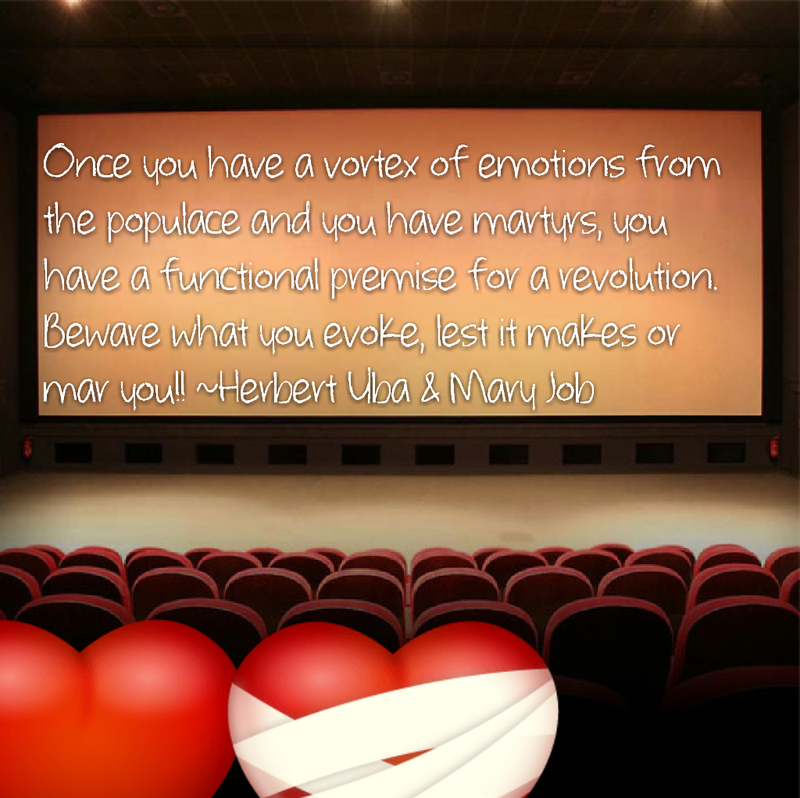 Beware what you evoke, lest it makes or mar you!! Previous Who doesn’t make mistakes? Next Can this be justified?? Awww, you flatter me much Mary! And that last line there…aptly placed! You most welcome. Your words inspire me. Thank you Herbert.